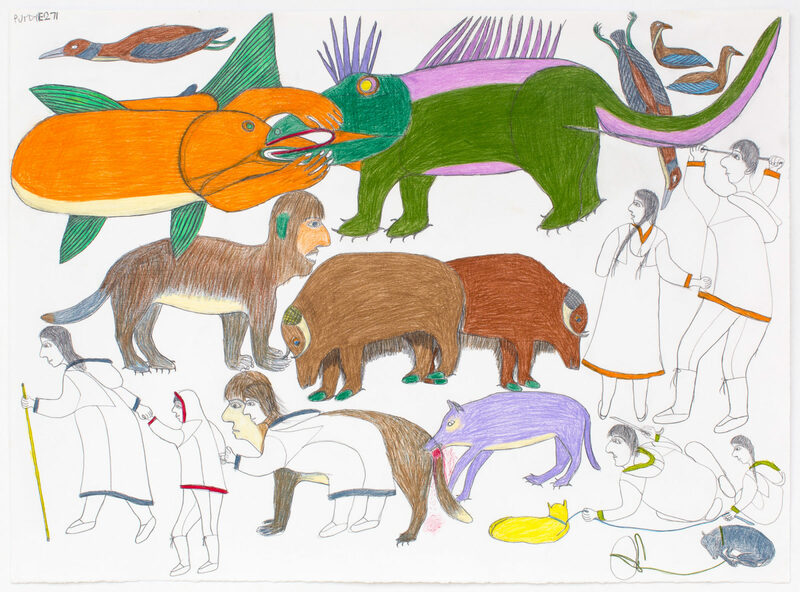 untitled (creatures), 1976, color pencil, graphite, crayon, paper, 22 x 30 in. 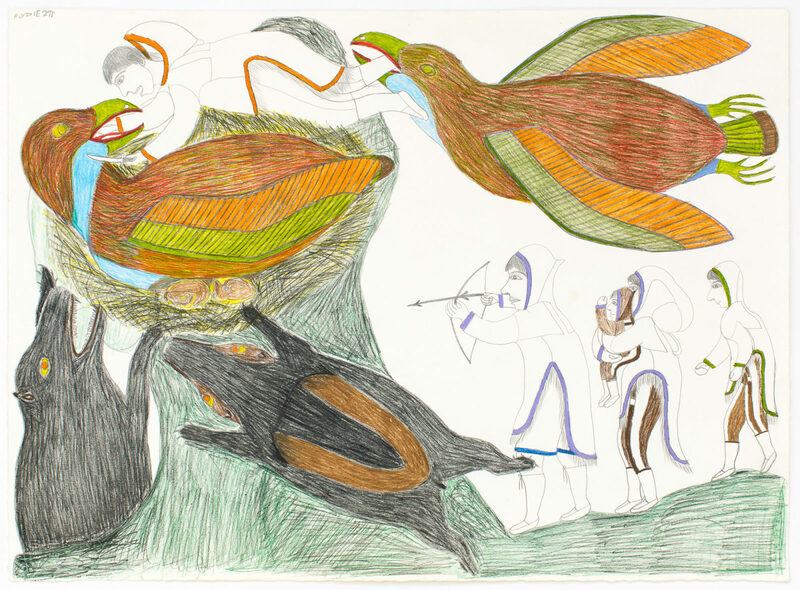 untitled, 1976, color pencil, graphite, crayon, paper, 22 x 30 in. 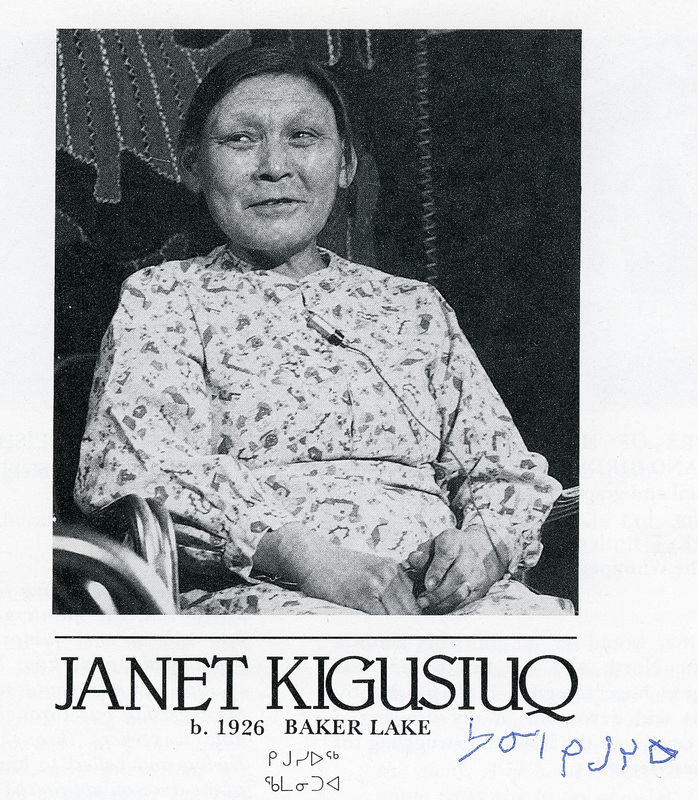 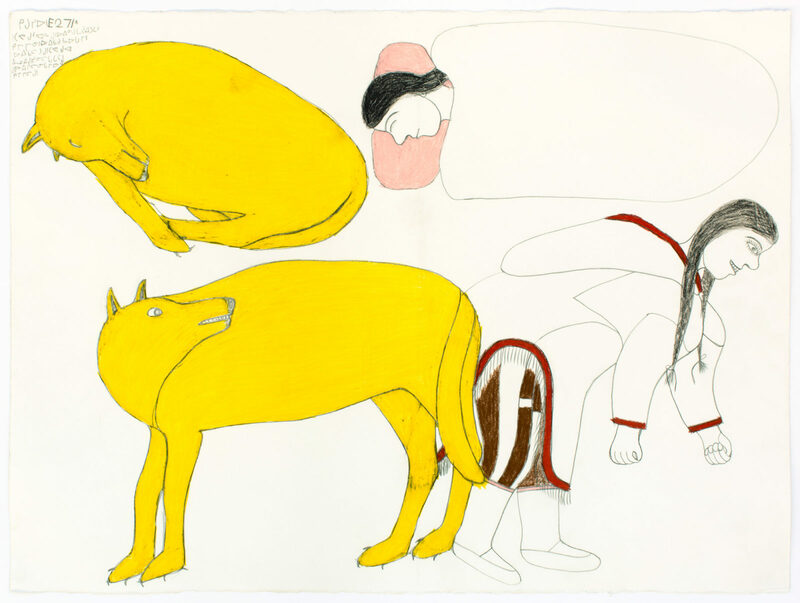 untitled (woman who married a dog), c.1978, color pencil, graphite, paper, 22 x 30 in. 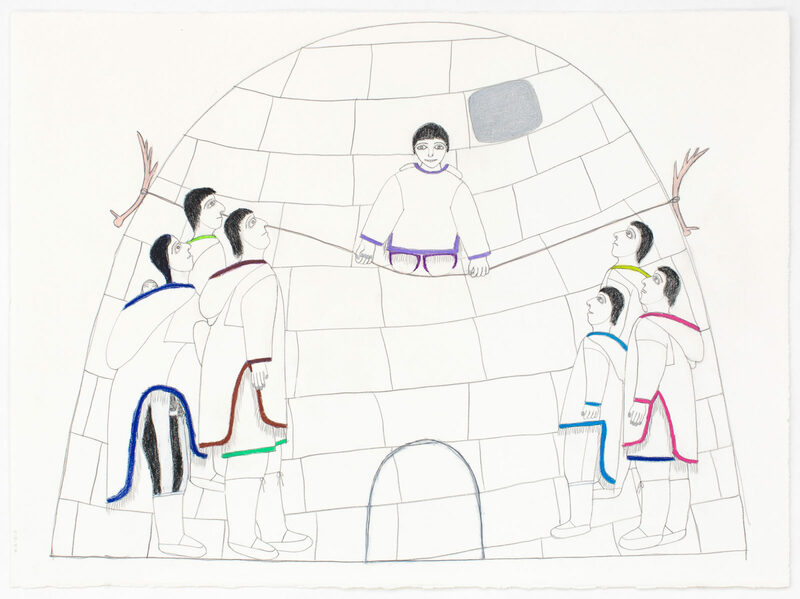 untitled (igloo suspense), c.1978-80, color pencil, graphite, crayon, paper, 22 x 30 in. 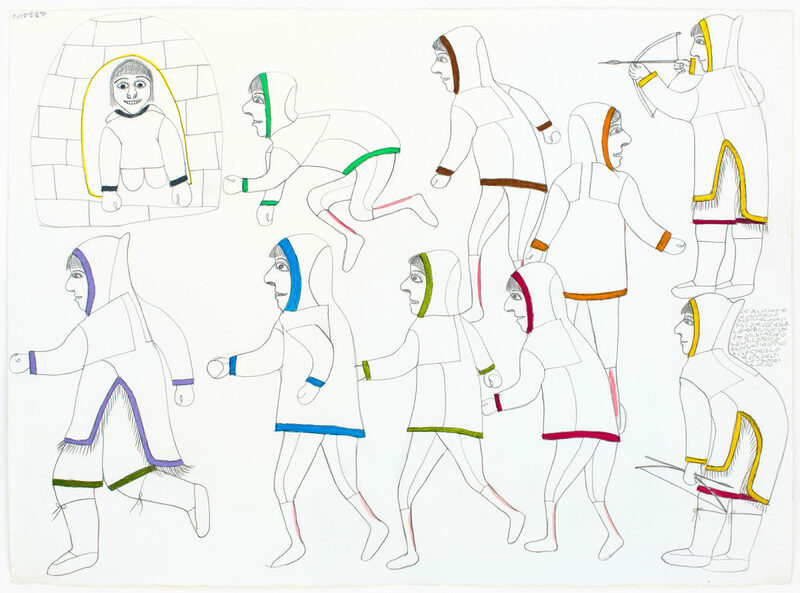 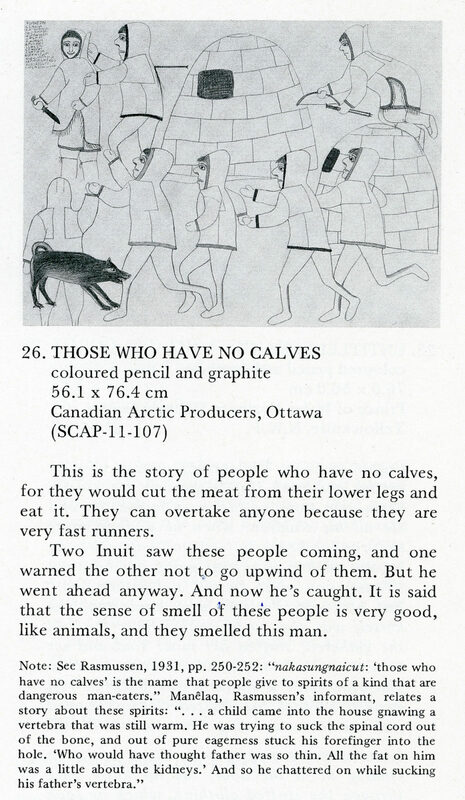 untitled (from the series Those Who Have No Calves), c.1978-80, color pencil, graphite, paper, 22 x 30 in. 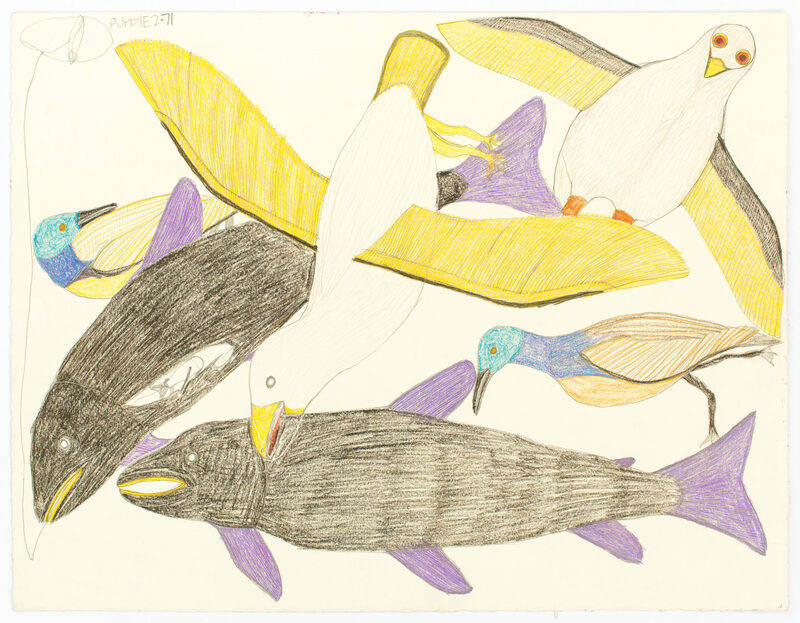 untitled (birds and fish), c.1978, color pencil, graphite, paper, 20 x 26 in. 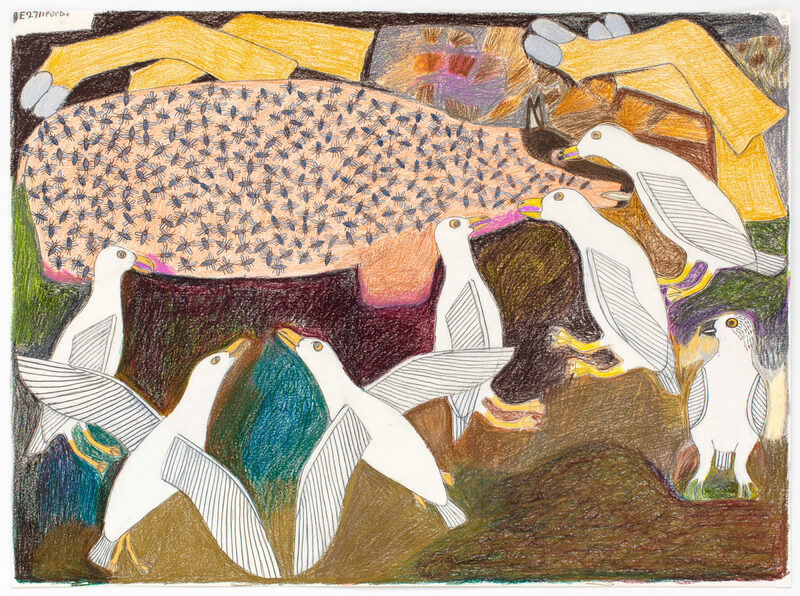 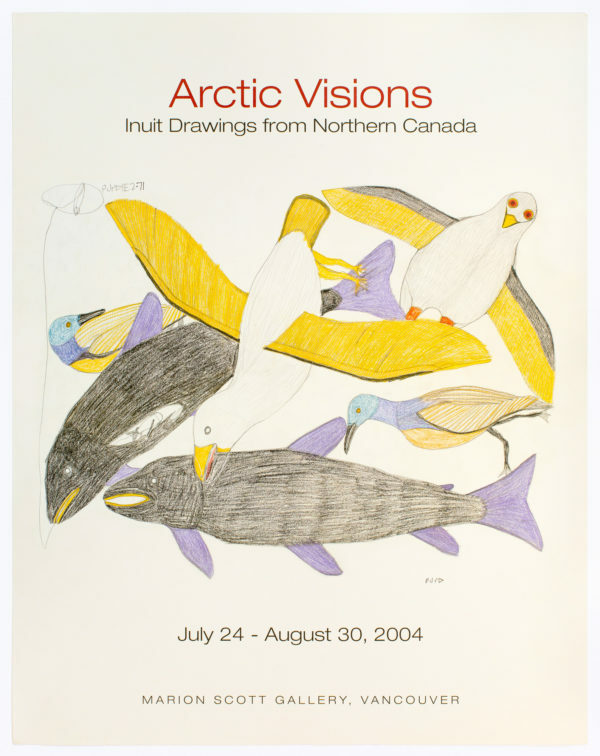 untitled (birds and caribou), 1989, Pastel, color pencil, graphite, paper, 22 x 30 in. 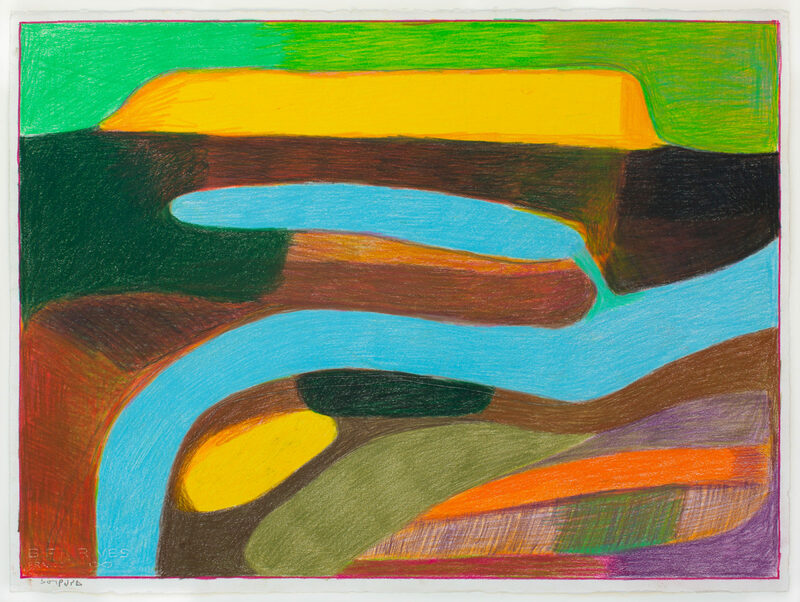 untitled (landscape), 2004, color pencil, graphite, paper, 22 x 30 in. 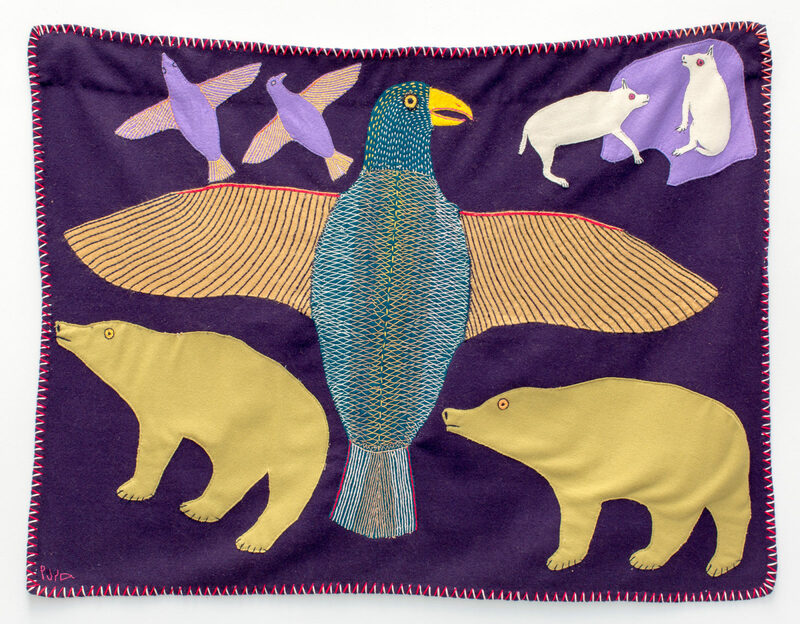 untitled (wall hanging), 2005, wool, felt, embroidery thread, 38.75 x 30.5 in.